‘Game of Thrones’ Season 7: Sansa pregnant? Stark sisters to get a violent end? The final episode of "Game of Thrones" season 7 airs tonight and fans are still wary of what'll happen to the Stark sisters. The final episode of the seventh season of “Game of Thrones” is set to air tonight on HBO, and it will hopefully feature the Stark sisters—who have been at each other’s throats since they reunited. While there have been no leaks or spoilers for the upcoming episode, a cast member might have purposely hinted at something huge. On August 26, actress Sophie Turner updated her official Instagram account with a photo of her and fellow “Game of Thrones” actor Maisie Williams. The photo was accompanied by a caption that honors the final episode of the season. The photo showed the two actors in costume, however, fans noticed that there was more to their poses in the photo than meets the eye. Apparently, there are speculations that Turner is hinting that her character, Sansa Stark is pregnant, most likely with Ramsay Bolton’s child, because of the way she had her hand resting on the lower part of her belly. This theory has been going around since “Game of Thrones” season 6, and if Sansa’s pregnancy turns out to be real then there’s one more pregnant major character in the series, which increases the stakes once more again. A Stark sister is set to die? The seventh season of “Game of Thrones” saw a number of reunions between major characters but fans have been more stoked about the Stark reunions because the siblings haven’t seen each other since they parted in the first season. Shortly after Jon Snow and Sansa reclaimed Winterfell from the Boltons, Bran and Arya have finally returned home. However, soon after their emotional reunions, the devious Petyr Baelish, who also goes by the name Little Finger, started to meddle with the Starks once more and even pitted Arya and Sansa against each other after revealing the latter’s past, which pertained to their father’s death. 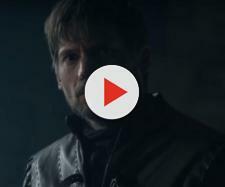 In the past few episodes of “Game of Thrones” Season 7, Sansa and Arya have been throwing shade at each other and there's no solid indication if they’re just trying to fool Little Finger or that they’re actually set to kill each other off despite everything that happened to their family. Director Alan Taylor, who worked on the sixth episode of “Game of Thrones” Season 7 revealed that the Stark sisters are headed to a violent surprise in the finale. Taylor said that he loved that the two characters have reunited as two new women, who have grown to be cunning and lethal but he wanted to give the impression that one of the Stark sisters is going to die. Taylor also pointed out that even though Arya has grown strong and deadly, Sansa has driven Brienne away to King’s Landing and this might open an opportunity for the older sister to attack. Little Finger is also expected to die this season and with one episode left, one can only hope that the evil character finally rests in peace.